In this week’s episode, Hannah and Lucia are all about fats and fascia–two deeply misunderstood and under-explained subjects! And guess what! Did you know we have a TWITTER? Yeah that’s right! 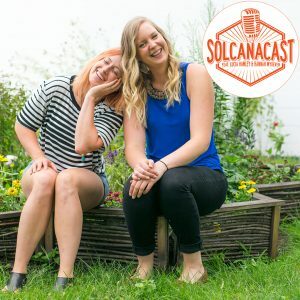 Tweet us @solcanapodcast. Send us love, cookies, GIFs, questions, thoughts or how your weekly challenge went, we want to hear it all! Lucia’s challenge: write down EVERY FOOD you eat that contain processed oils–ask and check labels!! Hannah’s challenge: find one point on your body that feels “sticky”, hold it/apply pressure from 1 – 10 pain, keep holding until pain changes/you can go deeper. Check in the next day–what’s different?